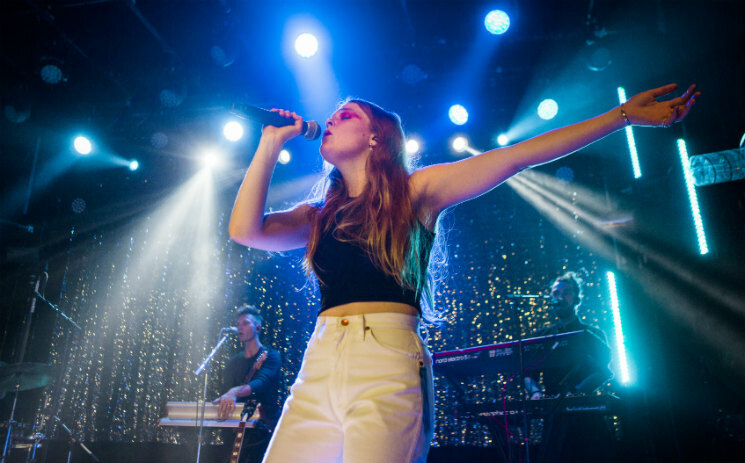 While she's set to support Mumford & Sons on their world tour later this year, Maggie Rogers has now mapped out some headlining dates of her own for 2019. Following her run with Mumford & Sons in December, Rogers will play a January date in Los Angeles before the itinerary really ramps up. She'll play throughout Europe in February and early March, before heading to North America later that month. Canadian dates include back-to-back evenings at Toronto's Phoenix Concert Theatre on March 20 and 21, followed by a show at Montreal's MTELUS on March 23. From there Rogers will play Vancouver's Commodore Ballroom on April 17. Further ticketing information for all dates can be found through Rogers' official website. She'll deliver her major label debut LP Heard It in a Past Life on January 19 through Capitol.